"I enjoyed this book immensely. It was fast-paced, exciting, filled with the untold yet in no way unglamorous adventures and perilous day-to-day existence of the United States Air Force ... This is one of the best historical books I have read." One of the most detailed pictures yet of the complex, ultra secret, ultra deadly world of nuclear war, 15 MINUTES shows how the bomb was used both as a tool of diplomacy and as a weapon to maintain a dangerous truce that lasted for almost fifty years. Based on 10 years of research and thousands of pages of formerly classified documents, the interrelated world of early warning, nuclear weapons testing, and instant retaliation with devastating lethality were connected in ways not previously documented, and not always with good results. But more than weapons and steel, here are the people of the Cold War – the bomber pilots, the radar navigators, the signal-ferreting ravens; the scientists, radar scope dopes and the thousands more that were tasked with testing, transporting, and delivering the bombs the scientists made. Based on formerly classified documents, military records, press accounts, interviews with participants conducted by the author and over 10 years of research and writing, this is one of the most important works on atom war ever written. 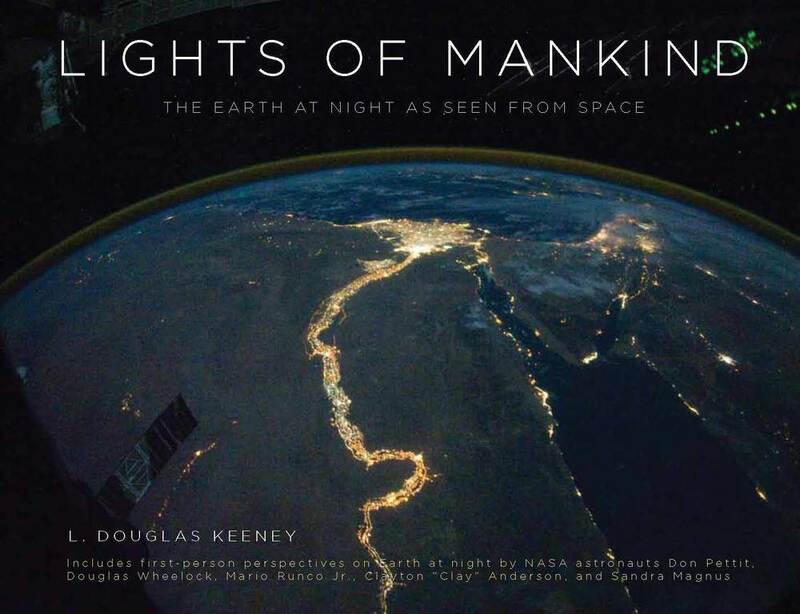 Lights of Mankind is the story of how we’ve populated our planet as told through inspiring, panoramic photographs of Earth at night, images made possible by the latest light-sensitive cameras and the newly installed Cupola observation module on the International Space Station. These photos, taken by astronauts from the largest window ever used in space, have already awed hundreds of thousands of people. This book includes first-person perspectives by the astronauts themselves—Don Pettit, Douglas Wheelock, Mario Runco Jr., Clayton “Clay” Anderson, and Sandra Magnus. "A thoroughly satisfying read: informative and entertaining. What is always mind-boggling is the sacrifice made in any war. Pointblank Directive shows quite clearly what the airwar leading up to D-Day cost both sides of the conflict. More importantly, it fills a needed gap in knowledge of exactly how critical the proper air campaign can be in determining the ground conflict. Historians and students of World War II history alike will be well-served reading this book." "The Pointblank Directive is a richly textured portrait of air power and leadership, possibly the last untold story of D-Day. Using extensive new research, Keeney carefully reconstructs the events that led up to the success of that battle." "...comes from a historian who considers the politics and personalities of The Pointblank Directive and how it become one of the most amazing military come-backs in history. By raid's end some forty percent of the Allied planes had been shot down. The story of how forces recovered from these heavy losses and flew to victory against impossible odds makes this a powerful account of strategic air command decision-making processes, battles, and close encounters, offering a fresh analysis of how The Pointblank Directive changed the world." "Lost in the Pacific: Epic Firsthand Accounts of WWII Survival Against Impossible Odds" by L Douglas Keeney is an amazing account of several pilots who survived unthinkable conditions and odds after crashing with their planes. As the foreword rightfully points out, these are not adventures but stories of hard battles against the elements, hostile wildlife and other factors. For every one of these lucky ones there are two dead pilots. "Being told by the survivors themselves these stories are amazing reading, giving a gripping insight into the minds of these resilient, determined and ultimately lucky men.It serves as a great illustration of the state of aviation at the time and the kind of circumstances one actually finds in life threatening accidents. "Very well written and edited this is extremely fascinating, eye opening and makes you appreciate how close to death those heroic pilots were all of the time. Very impressive." ChristophFisherBooks, I reviewed this book for netgalley. "If you value courage and honor, you’ll love Keeney’s new page turner Lost in the Pacific. He’s collected for us, stories of true valor as told by our national treasure-the American warrior. While the tales are from one war in particular, the lessons and the show of determination can teach us for generations to come.This book is a must read book for all who value our freedom." "This is solid, revealing, well-researched history of a fascinating and pivotal period in WWII."